Just kidding, I’ll write a little about it. Growing up in Japan, we had what’s called a “watermelon bar”. It was a long triangular shaped popsicle that looked and tasted like watermelon with its red and green layers. The red layer even had small chocolate chips to mimic the seeds. Needless to say, it was quite popular amongst the kids. 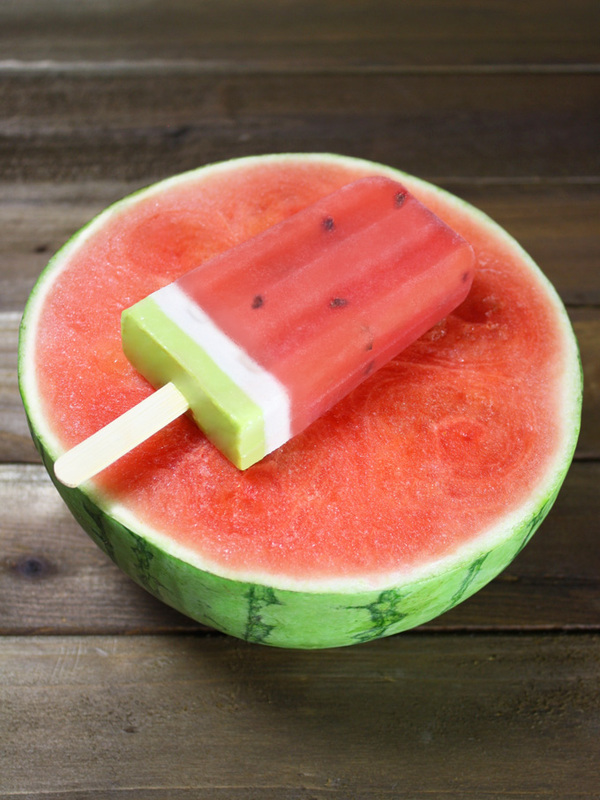 During summer time, my grandmother used to give me and my brother some money and tell us to get ice cream, so we’d race to the convenience store and grab the watermelon bar. It’s one of my fondest memories growing up. Sometimes when I think of my grandmother, who is not with us any more, I get sentimental and I’m reminded of that wonderful time and that tasty treat. Especially since they don’t have it here in the US. Although, even if they did, with my strict regulations on ingredients, I highly doubt I would be able to eat it! Anyways, I was recently shopping for a popsicle mold, and a light bulb went off. 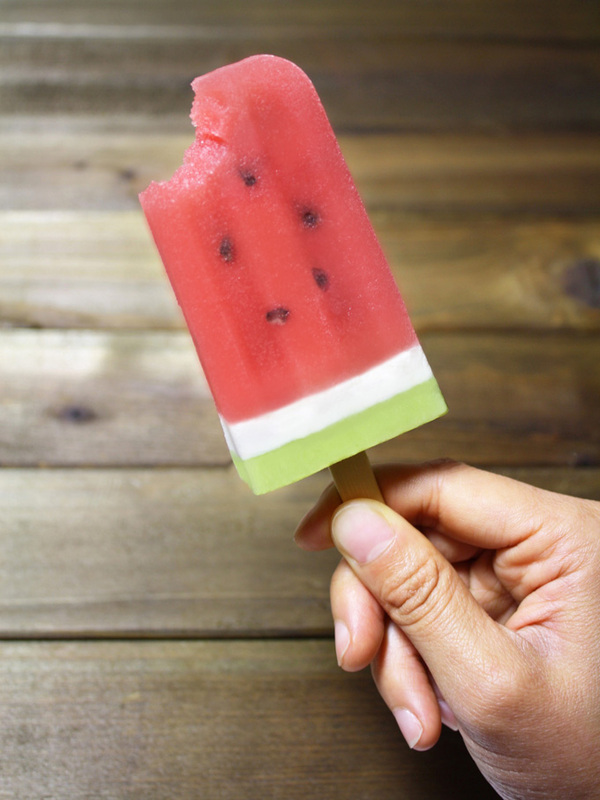 “I should make that watermelon bar- raw vegan!” And that’s how this gem of an idea was born. Does it taste as good as it looks? You betcha! Even my husband who didn’t grow up with it, loved these so much, they were gone in no time! Best part is, it’s healthy too! The red layer is made from watermelon juice and cacao nibs (or raw chocolate chips if you have those on hand), the white layer is vanilla flavored cashew cream, and the green layer is lime flavored avocado cream. They all work together and compliment each other really well. Making the raw vegan watermelon popsicles are quite easy, but it does take about a day to make. That is because it has 3 layers and you need to freeze each layer before you add another, otherwise it’ll end up being a marbled mess. 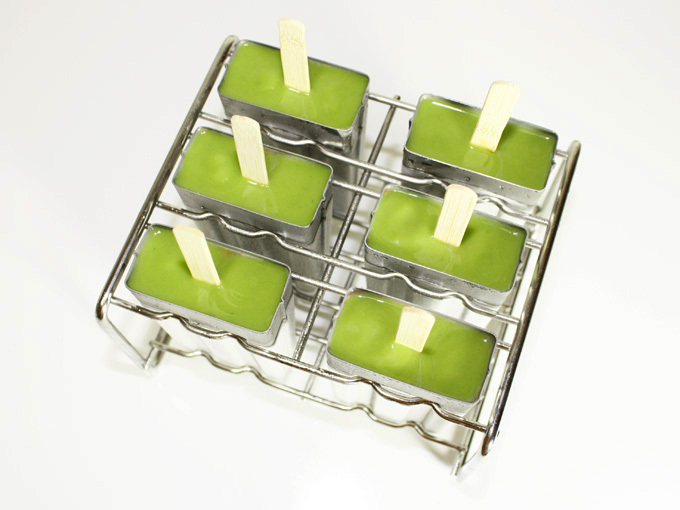 You will need a popsicle mold to make these. I have the stainless steel one from Onyx I got from Amazon. It’s quite expensive being stainless steel and for a popsicle mold too, so I waited quite a while before I pulled the trigger. I love it since I try not to use as much plastic as possible. It works great, and it’s well made so I’m sure it will last forever. 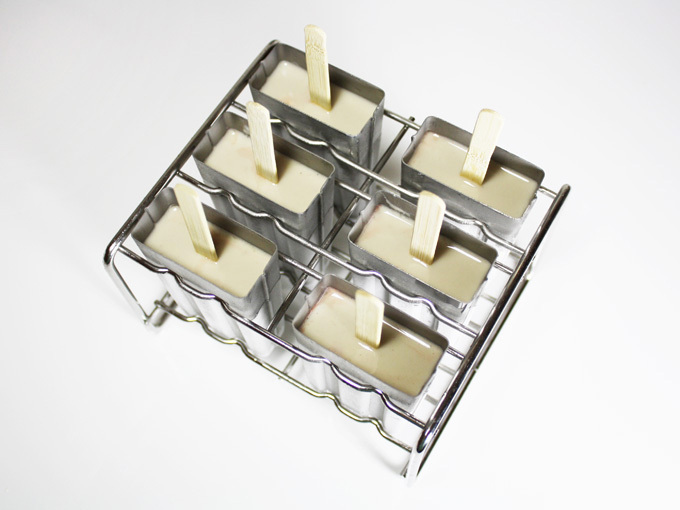 But you can use whatever popsicle mold you choose. If you have a popsicle mold that comes with its own handle, that is one piece with the base like this, don’t use the handle that comes with it! You won’t be able to add the additional layers! You can use a regular wooden popsicle stick instead. First, we start with the red layer. Roughly chop the seedless watermelon to help the blender when you blend. Blend until smooth. Transfer it into a container that would be easier to pour into the popsicle mold. I used a measuring cup here. Stir in the cacao nibs or raw vegan chocolate chips. If you are using the cacao nibs and your watermelon is not as sweet as it could be, add in some agave nectar to sweeten it up. The bitterness of the cacao nibs needs to be balanced with the sweetness from the watermelon. Pour it into the popsicle mold, about 70% of the way. Close the lid and place the popsicle sticks. Put it in the freezer for 5-6 hours until it hardens. If you are using the mold that doesn’t allow you to add layers once you put the handle in, don’t use the handle that comes with it as I said earlier. Put the mold in the freezer without the handle for a few hours until it’s frozen enough that it can hold the wooden popsicle stick in place. Put it back into the freezer to let it freeze completely. I recommend soaking the cashews for the next white layer while you are freezing this red layer so it’s ready. Once the red layer is completely frozen, onto the next, white rind layer. Drain and rinse out the soaked cashews. Add all the ingredients except for water into the blender and start blending. Add in water, but only use the minimal amount you need to make it into a thick cream and no more. If you add too much water and make it too thin, the line between the red and white layer comes out blurry. If you accidentally thinned it out too much, add more cashews to thicken it up. Take the mold from the freezer and pour the cream into the mold using a small spoon. You can pour whatever thickness you prefer the white layer to be. I like about 1/4″. Gently shake the mold side to side to make the surface smooth. Put it back in the freezer for 3-4 hours until it hardens. Once the white layer freezes, it’s time for the last green skin layer. Add all the ingredients for the green layer into the blender and blend until smooth. Take the mold out of the freezer and pour in the avocado cream with a small spoon. Gently shake the mold side to side to make the surface smooth, and put it back in the freezer for 3-4 hours until it’s completely frozen. To remove them from the stainless steal molds, just run them under cool water for a couple seconds. That is all it needs. Then pull the popscicle from the mold. Roughly chop the seedless watermelon to help the blender when you blend. Blend until smooth. Transfer it into a container that would be easier to pour into the popsicle mold. Stir in the cacao nibs or raw vegan chocolate chips. If you are using the cacao nibs and your watermelon is not as sweet as it could be, add in some agave nectar to sweeten it up. 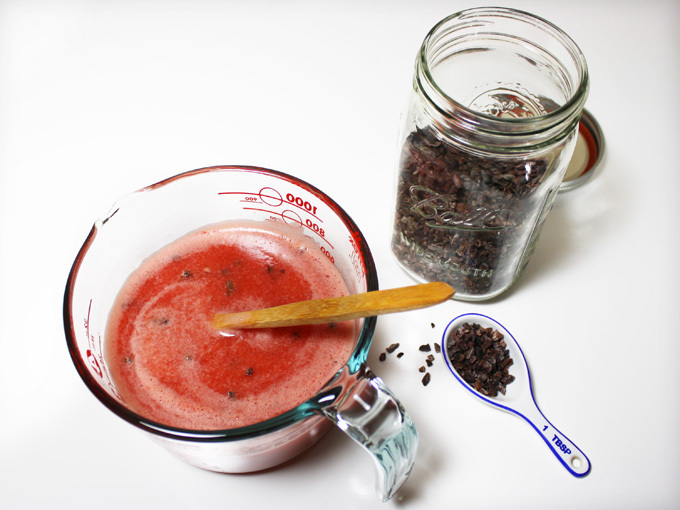 The bitterness of the cacao nibs needs to be balanced with the sweetness from the watermelon. Pour it into the popsicle mold, about 70% of the way. Close the lid and place the popsicle sticks. Put it in the freezer for 5-6 hours until it hardens. If you are using the mold that doesn't allow you to add layers once you put the handle in, don't use the handle that comes with it. Put the mold in the freezer without the handle for a few hours until it's frozen enough that it can hold the wooden popsicle stick in place. Put it back into the freezer to let it freeze completely. Soak the cashews for the next white layer while you are freezing this red layer so it's ready. Drain and rinse out the soaked cashews. Add all the ingredients except for water into the blender and start blending. 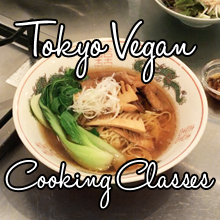 Add in water, but only use the minimal amount you need to make it into a thick cream and no more. If you add too much water and make it too thin, the line between the red and white layer comes out blurry. If you accidentally thinned it out too much, add more cashews to thicken it up. Take the mold from the freezer and pour the cream into the mold using a small spoon. You can pour whatever thickness you prefer the white layer to be. I like about ¼". Gently shake the mold side to side to make the surface smooth. Put it back in the freezer for 3-4 hours until it hardens. Add all the ingredients for the green layer into the blender and blend until smooth. Take the mold out of the freezer and pour in the avocado cream with a small spoon. Gently shake the mold side to side to make the surface smooth, and put it back in the freezer for 3-4 hours until it's completely frozen. To remove them from the stainless steal molds, just run them under cool water for a couple seconds. That is all it needs. Then pull the popscicle from the mold. If you end up with some left over mixtures, you can pour it into ice cube trays to make some ice candies.